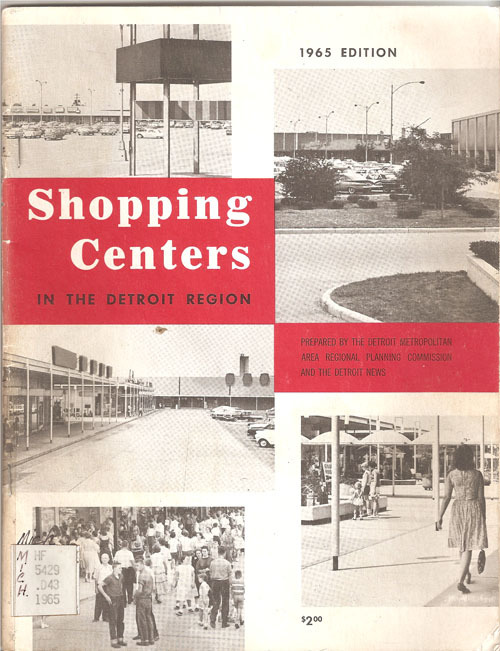 The University of Detroit Mercy Bookstore on the McNichols campus has had more than one location. 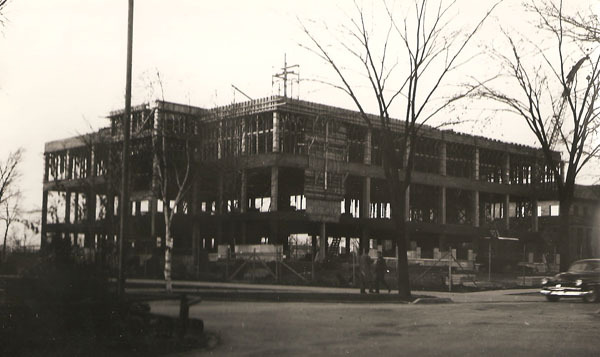 I have not been able to identify the first location-but from the pictures dated 1949, it was in the the lowest level of some building judging by all the pipes running along the ceiling. It was later moved to the lower level of the Briggs building. 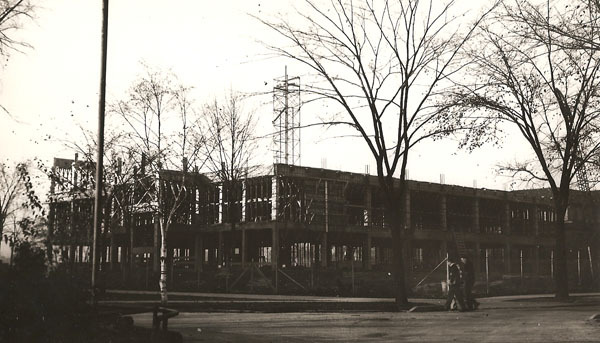 That building was not built until 1958, so those earlier pictures could not have been taken in that building. It was there until at least 1970. 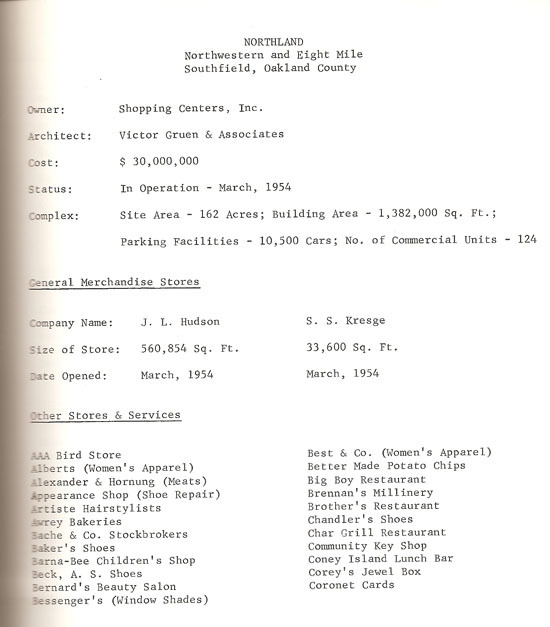 That year on March 1st, there was a major fire set in the bookstore that caused $185,000 worth of damage. It was determined to be arson, but I have not found anything in the archives to indicate that they ever found who was responsible for the fire. There was even a $1,000 reward for information leading to the arrest and conviction of the person or persons who set the fire. 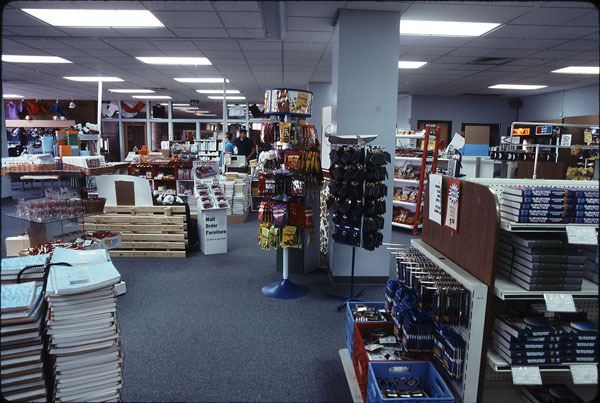 At some point after the fire, the book store was relocated to its current location in the Student Center Building. 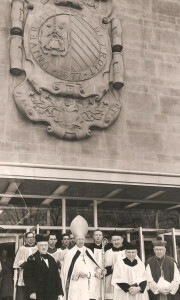 The main building was dedicated in 1955 and the addition to it in December 1, 1970. Rev. Dowling was a talented artist , but he was not the only member of his family with artistic talent. 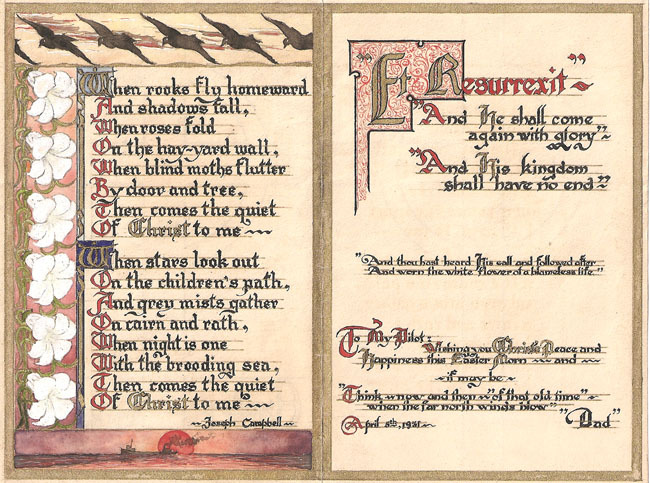 This Easter card from his father Edward Francis Dowling, shows that there must be something in the genes that gets passed on from father to son. 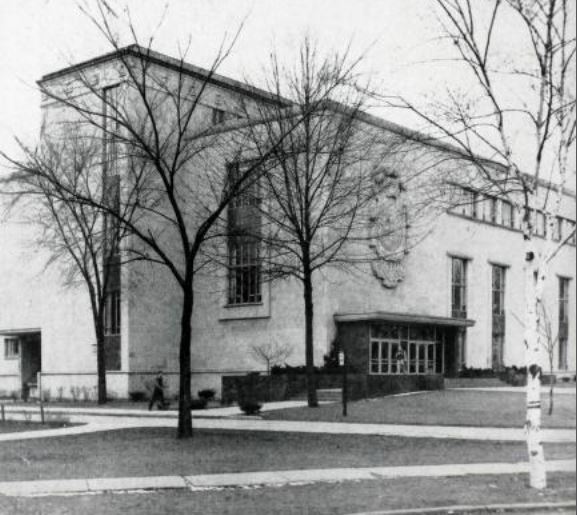 The University of Detroit Mercy has hosted a few NCAA basketball tournaments in the past. 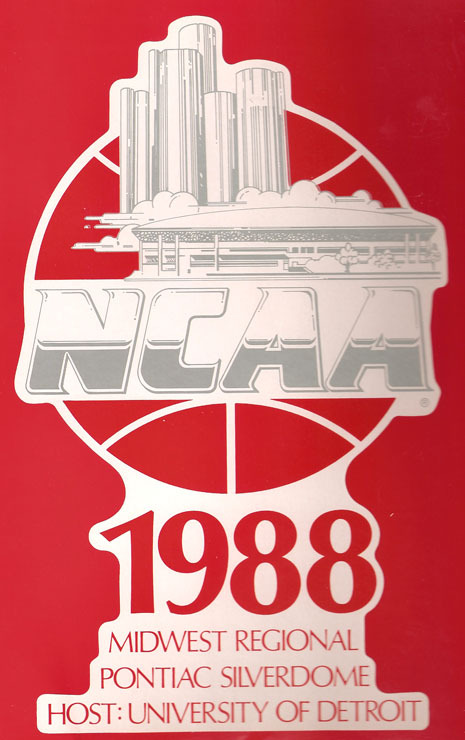 The first was 1988 and a second time in 1991 where the games were played at the Pontiac Silverdome. 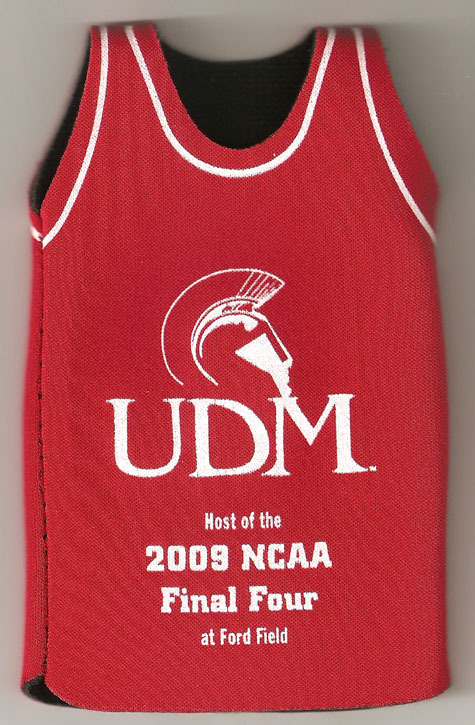 There was also a third time at Ford Field in 2008, all as the Midwest Regional Basketball Championships. In 2009, the university was the host at Ford Field for the Final Four where the championship game saw University of North Carolina beat Michigan State. I think that was really hard to take if you consider Ford Field as being the “home court” for Michigan State. It was recently reported that Detroit would be the location for the first- and second-round games of the 2018 championship in the yet-to-be-built Detroit Red Wings arena. There was no mention as to what school would host the event, but I am sure University of Detroit Mercy would be more than happy to lend their expertise and experience with past basketball tournaments and host the event. Looking for something to do at the library? UDMercy Libraries/IDS is hosting a Video Game Night on Friday, March 13th from 6-9:00 PM. Games planned include: Halo:Master Chief Collection, Blur, Call of Duty:Advanced Warfare, Settlers of Catan, Carcassonne, and the ever popular Wii Sports. This year we have something different! 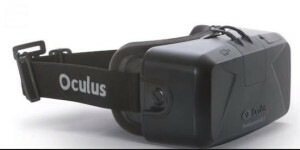 A demo of Oculus Rift. 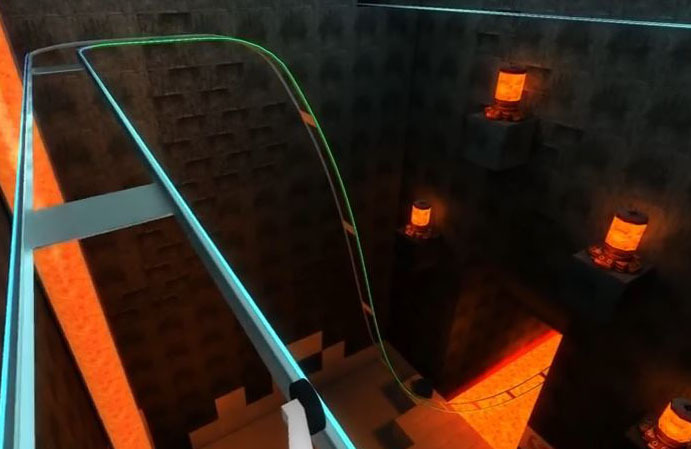 This device will let you feel like you are in a 3D virtual world. You can look up, down, side-to-side, even behind you. 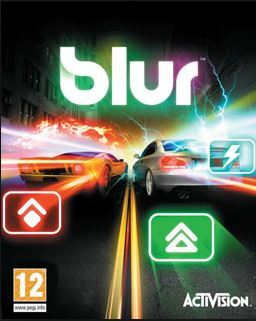 WARNING-if you are prone to motion sickness, you might want to pass on the demo. 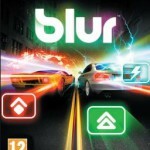 This is just the developers kit (DK2), the consumer version is not expected until 2016. In anticipation of the demand to view the demo, you have to be a UDM student and time on the device may be limited for only a few minutes. You don’t have to play any of the games-you can just watch. Just watching how people react to the Oculus Rift might be worth the time (we will NOT let people stand when they have the headset on! 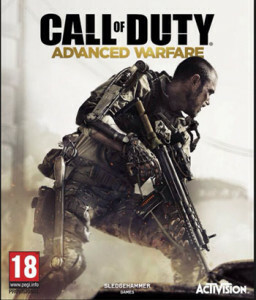 )-check out the video. FREE pizza and pop will be available. Come join the fun! 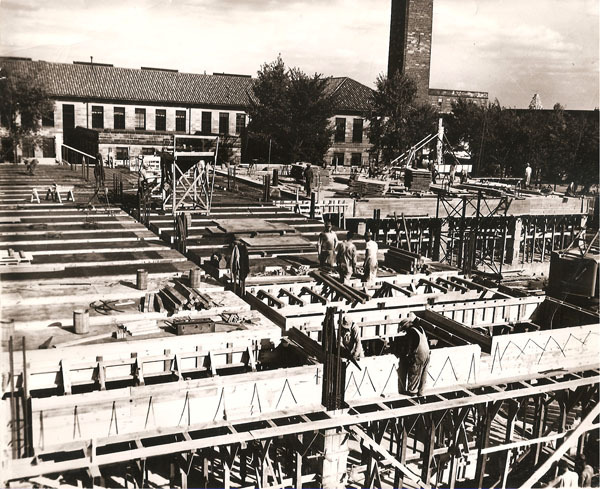 “What’s in the new University of Detroit Library besides 125,000 books? According to the Very Rev. 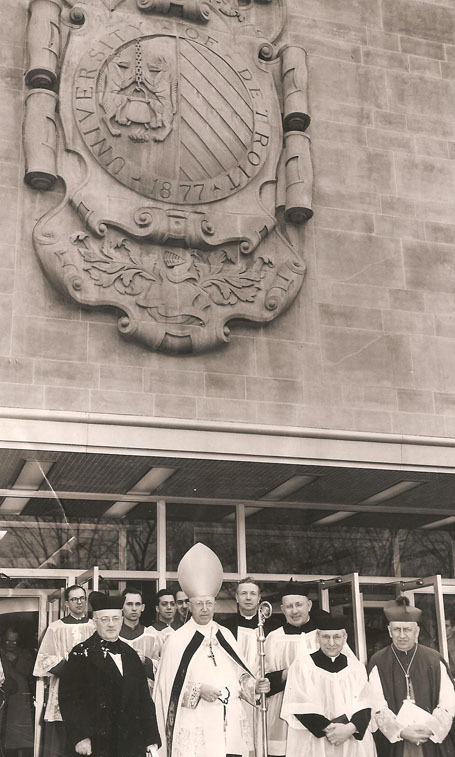 Father Celestin Steiner, S.J., University president, there’s everything including the kitchen sink.” That was how the press release began with the announcement of a formal dedication of the library November 11, 1950. 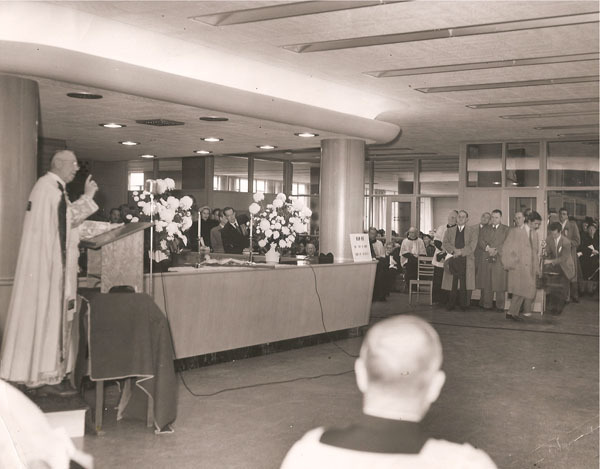 As the highlight of the University of Detroit’s homecoming week, the one million dollar library was dedicated by Edward Cardinal Mooney, archbishop of Detroit. 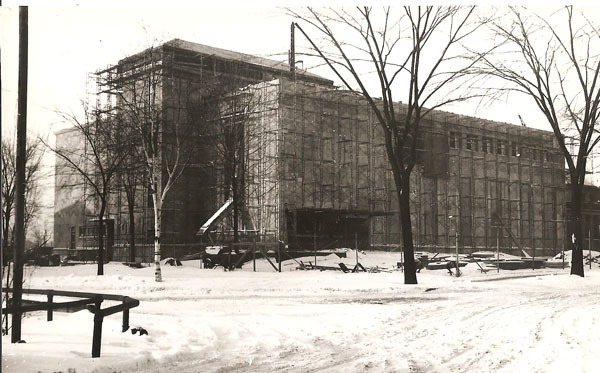 When the library first opened, the stacks were closed. 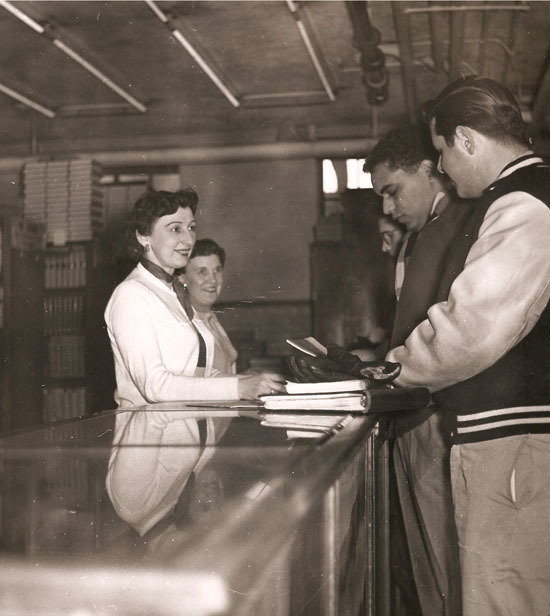 Students would place their request for a book at the circulation desk on the main floor where a pneumatic tube would shoot the request up to another floor for another student or staff person to send the book down via the dumbwaiter. You can still see remnants of those on the upper floors, but they don’t work anymore. 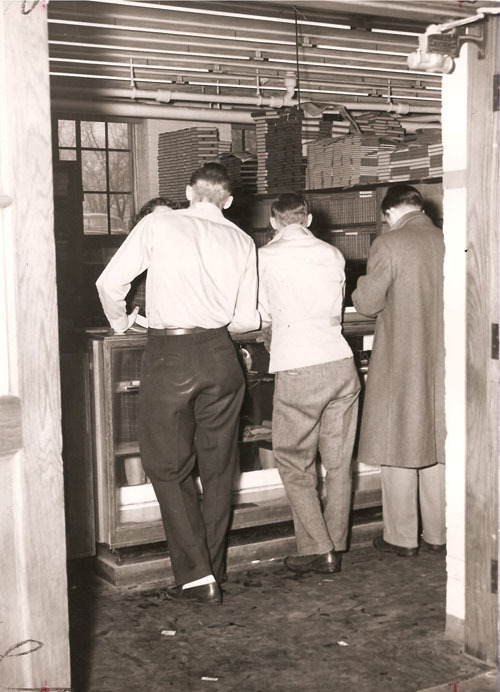 Initially, the library housed a 300 seat theatre, recording studio and microfilm unit on the third floor; all that has gone away for various reasons, but we still have the kitchen sink in the staff lounge! 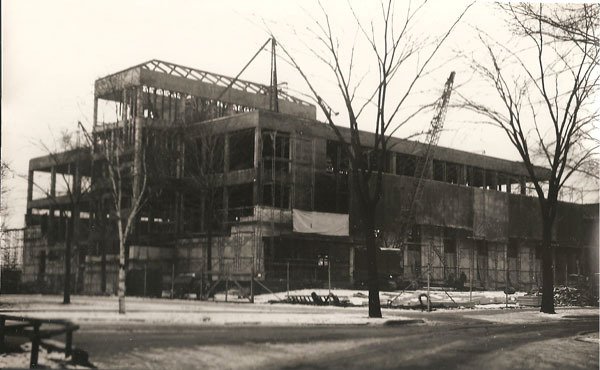 Construction on the million-dollar McNichols Library began with the June 11, 1949 ground breaking ceremony. 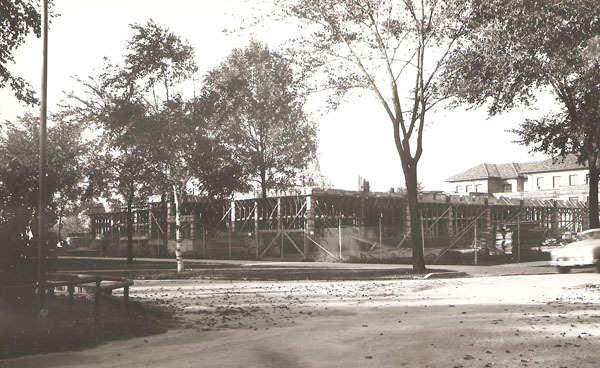 Aside from the outdoor patio added by the Class of 2010, not a lot has changed on the exterior of the library building. See my previous post to see some of the changes made in the interior of the building. 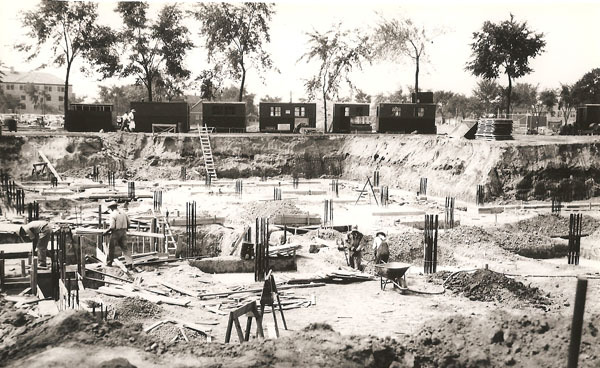 Here are some of the pictures as it was being built. 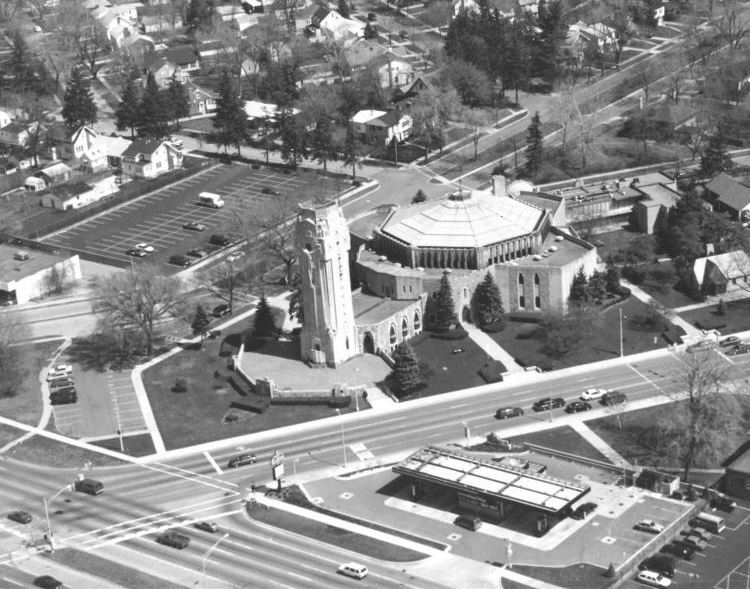 Pope Francis has bestowed the title of “basilica” upon the National Shrine of the Little Flower Catholic Church, its inaugural mass as a basilica will be celebrated April 22, 2015. 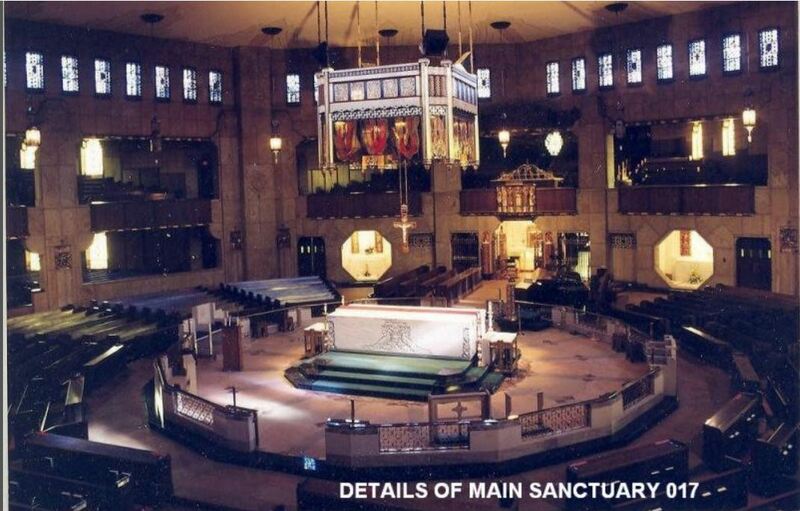 The designation of basilica is in recognition of its robust parish life, which includes eight weekend masses, and its stature as a destination site with relics from various Catholic figures, including its namesake St. Therese of Lisieux (Detroit Free Press Feb 1, 2015). 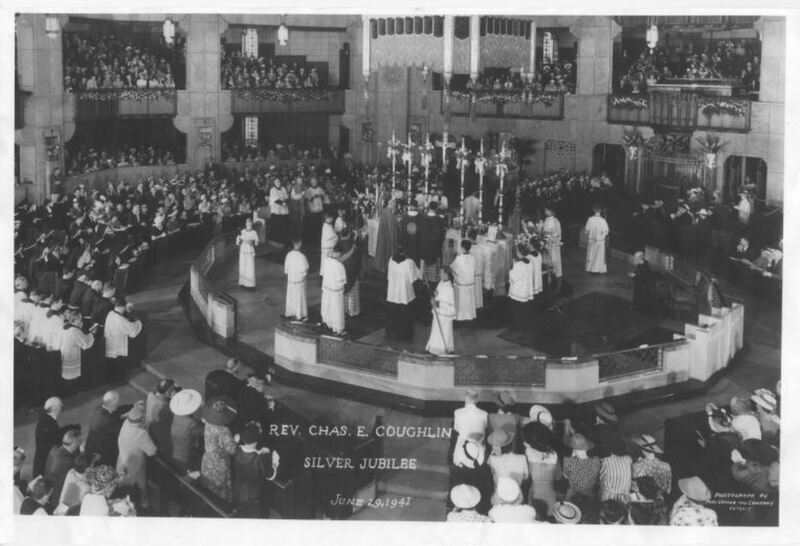 The church’s first pastor was the Rev. Charles Coughlin in 1926. 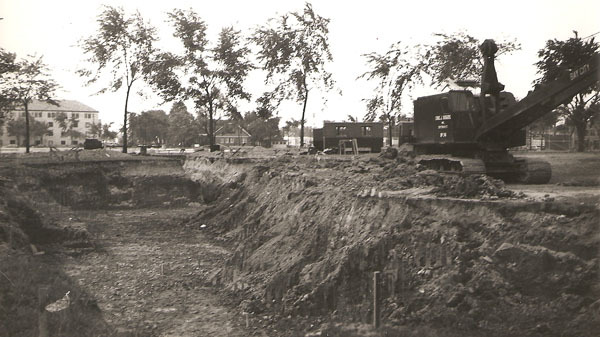 That year he also began his radio broadcast to raise money to build the parish complex. His radio speeches were very popular, but they gradually became very political to the point that his radical viewpoints and anti-Semitic themes were too controversial for church leaders and under pressure from the National Association of Broadcasters his radio broadcasts ended. 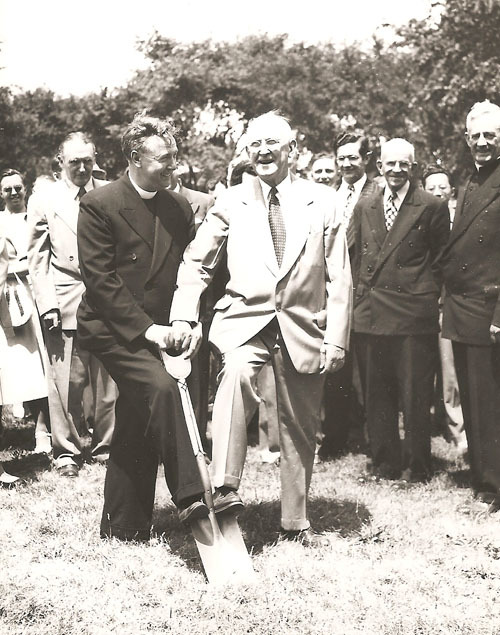 You can listen to more than 60 broadcasts from 1938-40 posted on the library Special Collections page on “An Historical Exploration of Father Charles E. Coughlin’s Influence“. Also on the page you will find digital images of Social Justice, the newspaper published by Father Coughlin from 1936-1942. Social Justice also came under fire for its pro-Axis propaganda and eventually had to shut down as well. The University of Detroit Mercy has a large collection of documents in the Black Abolitionist Archive that can be searched on the library web page. You can find the text of over a thousand speeches and editorials from the 1820′s to the Civil War on the site, some of which you can also listen to on an audio file. 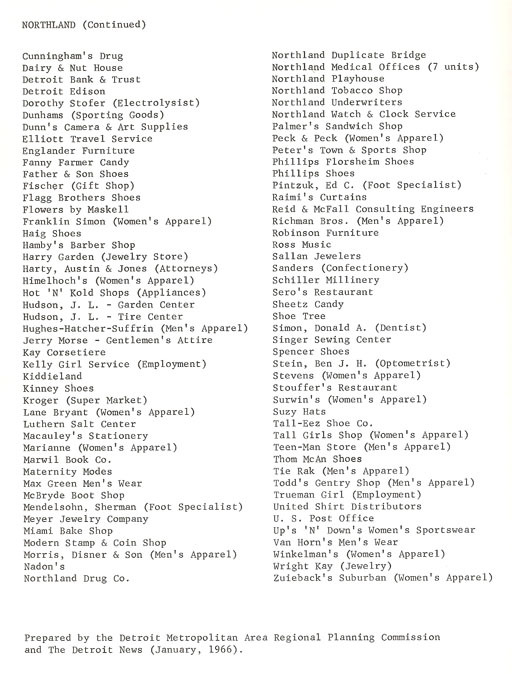 It is not possible to list everything in the collection, so periodically there is a request to find something in the collection that is not posted. 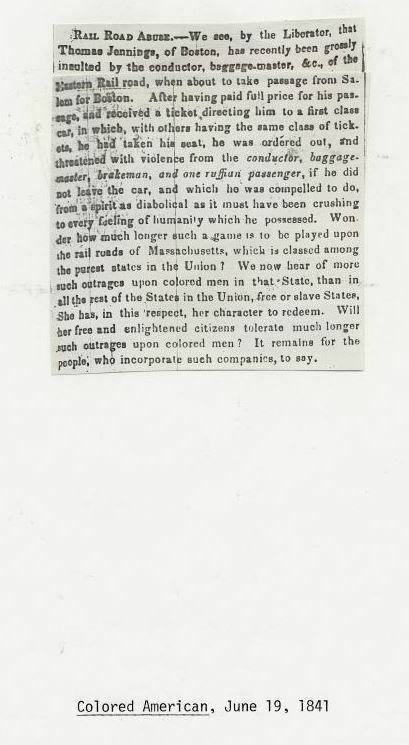 A research request came in looking for a speech by Elizabeth Jennings made at a meeting on the anniversary of the Ladies of the Literary Society, an African American women abolitionist organization, in New York City in September 1837. 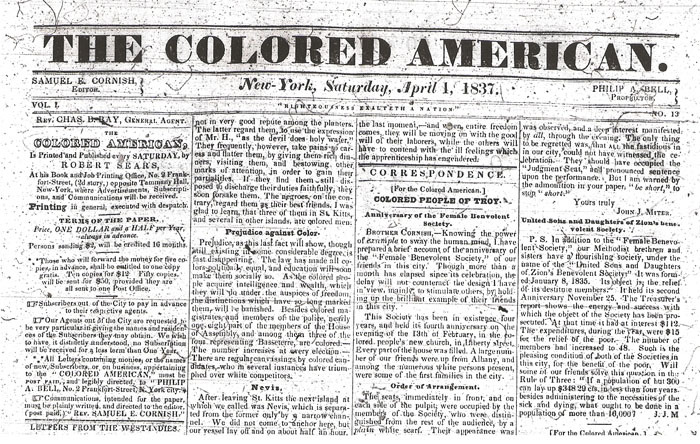 In honor of Black History Month, I am posting the article I found from Colored American, September 23, 1837. The microfilm copy will be hard to read, so I have transcribed the text for easier reading. It is a speech that is just as relevant now as it was back then. “…It is now a momentous time that calls us to exert all our powers and among the many of them, the mind is the greatest, and great care should be taken to improve it with diligence. We should cultivate those powers and dispositions of the mind which may prove advantageous to us. It is impossible to attain to that sphere for which we were created, without persevering. It is certain we were formed for society..and it is our duty and interest to cultivate social qualities and dispositions-to endeavor to make ourselves useful and pleasing to others-to promote and encourage their happiness-to cherish the friendly affections, that we may find in them the source of the greatest blessings the world can afford. But alas, society too often exhibits a far different scene, and this is in consequence of neglect of cultivation, which certainly is much more fatal than we can imagine. Neglect will plunge us into deeper degradation, and keep us groveling in the dust, while our enemies will rejoice and say, we do not believe they (colored people) have any minds; if they have, they are unsuceptible of improvement. My sisters, allow me to ask the question, shall we bring this reproach on ourselves! ..Doubtless you answer NO, we will strive to avoid it. But hark! methinks I hear the well known voice of Abigail A. Matthews saying you can avoid it. Why sleep thus? Awake and slumber no more–rise, put on your armor, ye daughters of America, and stand forth in the field of improvement. You can all do some good, and if you do but a little it will increase in time. The mind is powerful, and by its efforts your influence may be as near perfection as that of those which have extended over kingdoms, and is applauded by thousands. 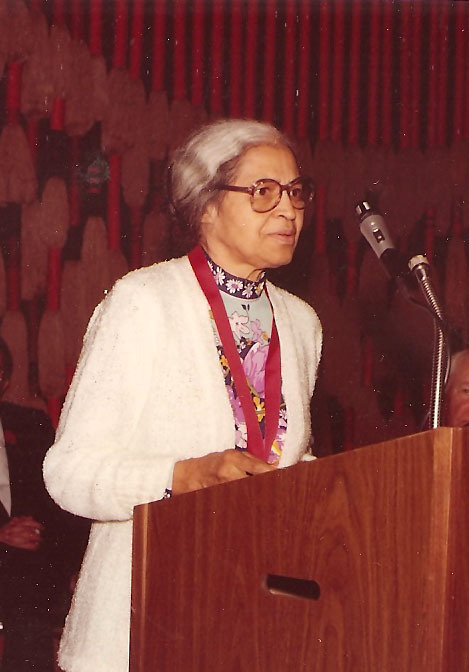 The Library of Congress display of Rosa Park‘s personal documents, photographs and keepsakes became available recently to the public. Park’s refusal to give up her seat to a white passenger on Dec. 1, 1955 was a key event in the civil rights movement. Sad to think it took so long and an act of Congress, to treat a fellow human being as an equal. Race relations have gotten better, but we still have a long way to go.